London is a city that most first-time visitors will undoubtedly find overwhelming. It truly is one of the world’s greatest cities, with a financial and cultural influence that emanates around the globe. While I’m not denying that many sights are priceless, I’d urge any visitor to be selective. Try to also discover a “secret London” you can call your own. Why not see your London trip as an organic journey of exploration, each step leading naturally to the next, rather than a hectic blur of somebody else’s “must-sees”? London has so many dimensions I genuinely think this the best way to appreciate the city. Think of it as peeling layers off an onion. A friend of mine who visited London a few years back had the right idea. He randomly sat on buses starting from Trafalgar Square and got off wherever the urge took him. He then traced his way back by a circuitous route, lingering anywhere that took his fancy, steered only by his senses and a well-thumbed guidebook. Not only did he discover some amazing off-the-beaten-track places but he also truly interacted with the city. For a start, he was forced to ask people where he was! This took guts since he was willing to return home without seeing the things he was “supposed” to see. The only expectations he had to fulfil were his own. Another friend came on a 5-day “salsa trip”. Armed with a Time Out and travelcard, he went to a different Latin party in a different corner of London every night! He gained great insight into the city by following his passion rather than other tourists. 1. Go globetrotting in London – there are more than 200 different nationalities living in London. That means almost every country in the world is represented. From Indians to Brazilians, Malaysians to Swedes, Japanese to South Africans… each has established a colourful presence in London, be it cafés and restaurants, ethnic art and design stores, spas, grocery stores or cultural centres. 2. Visit the temples of London – another ethnic-related theme that’s worth exploring. When one talks about places of worship in London, icons like Westminster Abbey and St. Paul’s Cathedral automatically spring to mind. There are also many, many temples. These are, more often than not, off the beaten path but are more than worth a visit. 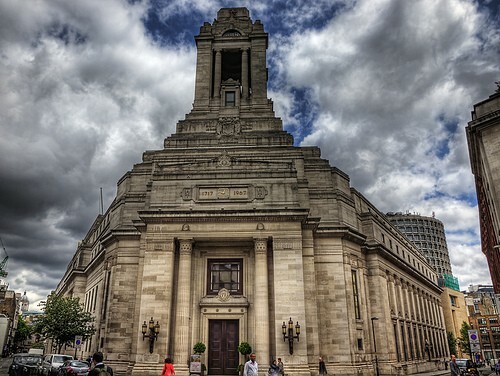 Examples include the elaborate Sri Swaminaryan Mandir temple in Neasden, the splendid Masonic Temple in Great Queen Street and the Temple Church, a medieval church built by the Knights Templar. 3. Did you know that there are windmills in London? You might associate windmills with Holland (and rightfully so, I might add 😉 ) but London has its fair share of historic windmills. Some of the most beautiful windmills include the 19th century Abraham’s Mill in Upminster and Ashby’s Mill in Brixton. 4. Go on a themed tour. There are a multitude of themed tours to choose from such as literary, architecture and historic tours. For something more unusual, there are Harry Potter, Jack the Ripper or Beatles walking tours. One of my personal favourites is the “Italian Job” tour in classic Mini Coopers. Visitors are zoomed around the city in blue boiler suits and tweed caps, and help to re-enact scenes from the movie. 5. Explore the culinary scene – from swanky Michelin star restaurants to pizza slices and fish & chips, London’s culinary scene offers something for everyone. This huge diversity can often be daunting – some would say spoilt for choice – but you can pick a variety of themes. Go ethnic, discover the city’s most unusual restaurants or make reservations at one or more celebrity chef restaurants (think Jamie Oliver or Gordan Ramsay). 6. Sit down for high tea – this is a London experience you shouldn’t miss. Learn about the history of this very British tradition and the various ways it’s served today, from classic afternoon tea at some of the city’s top hotels to the funky Berkeley London designer afternoon tea (afternoon tea with a fashionista twist aptly called Prêt-á-Portea). For the ultimate indulgence, head for the Ritz or the Savoy for a champagne laced high tea! Expect crisp linens, gleaming silver and exquisite scones. 7. Immerse yourself in the movies – from the classic Ealing comedies and Hitchcock thrillers to James Bond and Notting Hill, London boasts a rich cinematic heritage that continues till this day. Leicester Square is the home of famous cinemas such as the Odeon and Empire but look further and you’ll find other gems such as the Phoenix Cinema in East Finchley, the UK’s oldest functioning cinema. For a unique and quirky cinema experience, check out the Secret Cinema. 8. Sports – if you love sports and history, you may want to make this your theme. Venues not to be missed include Wimbledon, Wembley and the World Rugby Museum in Twickenham. Cricket fans won’t want to miss the Marylebone Cricket Club Museum in Lord’s, one of the world’s most iconic cricket grounds. Oh, and there’s the Olympic Park too! 9. 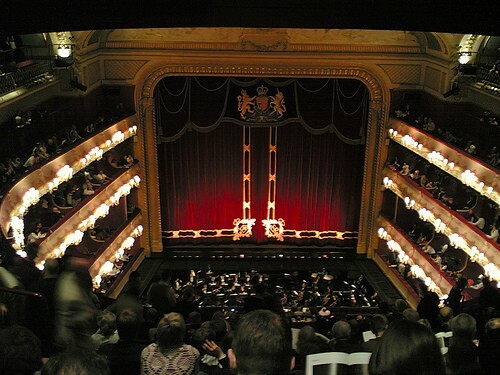 Explore London’s Theatreland – another London experience that cannot be missed is a visit to any of its theatres for a musical or artistic performance. Learn about the colourful past of each theatre by joining a walking tour. The guides are guaranteed to keep you entertained with captivating stories and anecdotes. The Covent Garden theatre scene is especially intriguing! 10. What to do for free – I’m guessing this is a popular theme. 😉 London is an expensive city but there are many things you can see and do for free. Some simple research will reveal lots of great ideas so go ahead, make it your theme and discover ways to see London for free. I did that quite a while back. Very cool tour too and can definitely recommend it. Italian Job tour? That’s awesome!! Did you take the Jack the Ripper tour? Great article idea! I love this city. It has so much to offer! Those are great ideas for exploring a city! I’ve only been to London once on a business trip which lasted a few days but whenever I finished work, the sky was dark already. Company put me up at Fraser Suites Kensington if i remember correctly, which was great as it was close to many shops and restaurants. and I definitely plan to visit again and experience London as a tourist! Quite interested in the jack the ripper walking tour as well as the mini cooper experience! I would say another great way to explore London is by ‘Boris Bike’ – rent one of the city bikes and download their app with a full live map of drop-off points. London is surprisingly bike-friendly and you get a very different perspective of the capital. Nice alternative view on visiting London and I have learnt something new….I wasn’t aware that London homed over 200 nationalities, that is cultural diversity at its best! Thanks for your comment Janice! 🙂 Totally agree. London sure is one of the world’s great cities. Just when you think you know it well, it springs another big surprise on you. Love it! 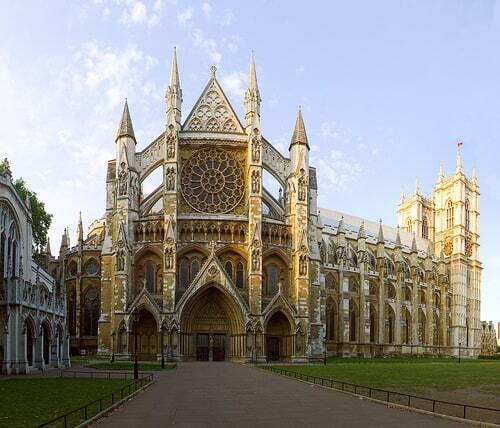 Westminster Abbey? Yes. Windmills? No. I didn’t know London had windmills. It’s nice to read about alternative exploring options, especially for the visitor who has “been there, done that.” Not that one ever tires of visiting London… It’s truly one of the world’s great cities.